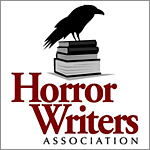 The Ladies of Horror flash fictions have been going up over at Nina D’Arcangela’s Spreading the Writer’s Word blog and I’ve missed sharing them so far this month. Sweet and spooky, these shorts from some of the best names in horror share their inspirations from photo prompts. Here’s who has been posted so far… the rest I will post as published on my Facebook page.